To help drillers establish their stratigraphic position and plan ahead, the integrated Drillers Earth Model (iDEM™) provides them with the up-to-date geological and geophysical subsurface information they need. Petrolink's integrated Drillers Earth Model (iDEM) is a web-based software solution that makes up-to-date geological and geophysical (G&G) subsurface information available on the drilling rig. G&G subsurface information is generated, updated and stored off site. Therefore it is often insufficiently available to drillers. iDEM aggregates this information and monitors it for updates in real-time. Further, the data is converted to the RESQML format and made available on the drilling rig. This is done through a RESQML data store on a big data platform. Having both RESQML and WITSML data stores available on the rig makes it possible to combine the data they contain, resulting in unique benefits. 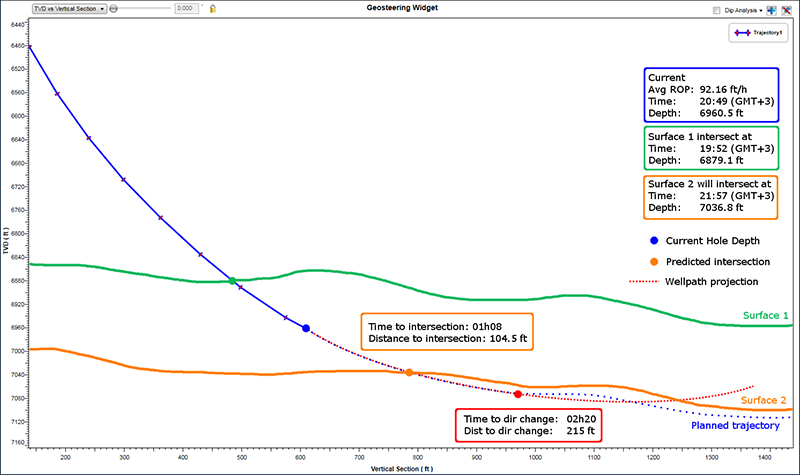 Combining WITSML wellbore trajectory information with RESQML surfaces allows for better stratigraphic positioning of the drill bit. 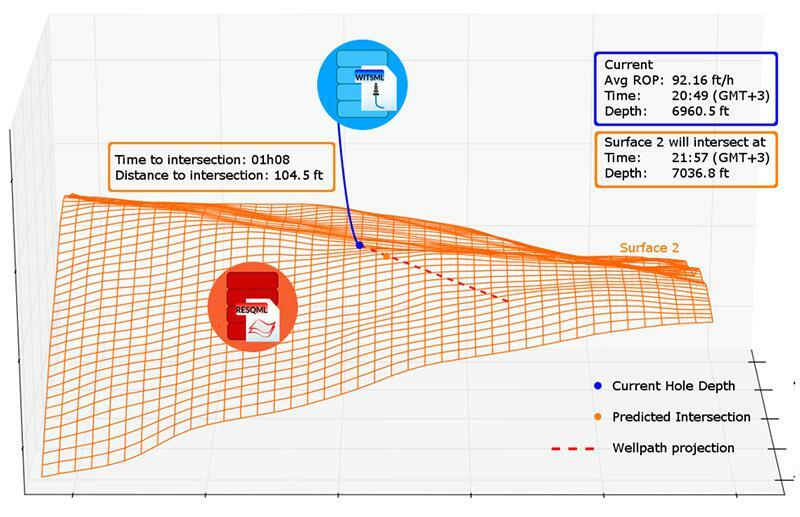 Combining the planned wellbore trajectory and average Rate of Penetration (both WITSML) with RESQML surfaces, makes it possible to calculate drilling time and distance to a surface. This combination also allows calculation of the point for future change of wellbore trajectory. iDEM provides drillers with the up-to-date geological and geophysical subsurface information they need to establish their stratigraphic position and plan ahead.